Gobbledygeek episode 62, “Get Your Stinking Prequels Off Me, You Damned Dirty Reboots,” right here. Everything old is new again. Hollywood insists that there are no new stories to tell. This week, Paul and AJ wander through the desert of pop culture and discuss the ups and downs (mostly downs) of prequels and reboots, looking for the rare oases of creativity. 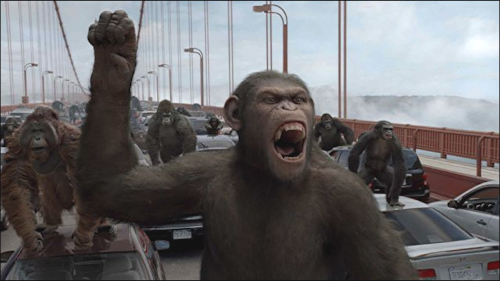 Plus: Paul reviews Rise of the Planet of the Apes, and the boys wrap it up with a slew of Formspring questions. Next: Your guess is as good as ours. This entry was posted in Shameless Self-Promotion and tagged andy serkis, film, formspring, gobbledygeek, libsyn, movies, podcast, prequels, reboots, rise of the planet of the apes. Bookmark the permalink.